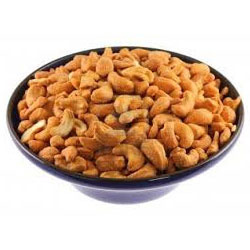 Leading Manufacturer of roasted cashew from Mumbai. We are specialized in offering a wide range of Roasted Cashews. The offered cashews are processed using sophisticated technology in compliance with the set industry standards under the guidance of our quality controller. These cashews are tested on various quality parameters to ensure effectiveness. In addition to this, we offer these cashews to our clients at reasonable prices. We prepare them by keeping in minds various health related issues about our clients and also giving them mouth watering and delicious food items. These food items can be availed at very reasonable prices. Looking for Roasted Cashew ?